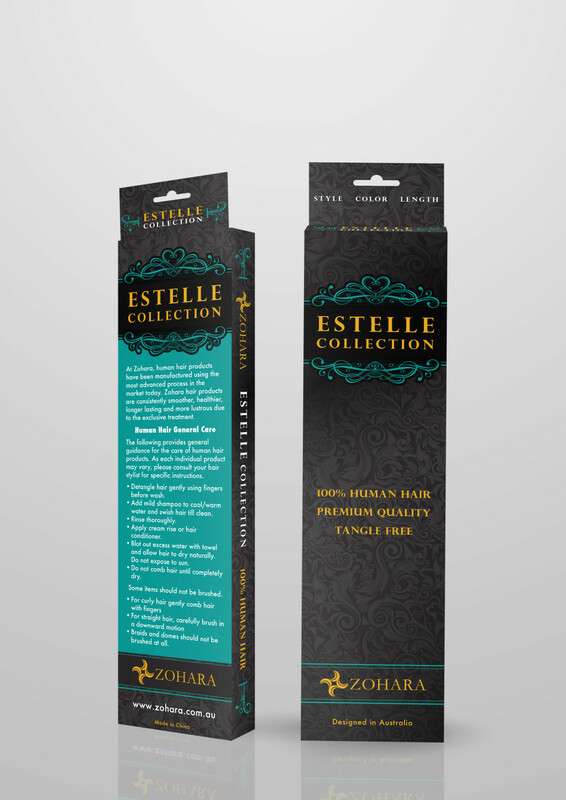 Shiny Gold Foil makes this box reflect the quality of hair Elgin Charles from Beverly Hills sells. We designed boxes in two dimensions. Both boxes had windows. 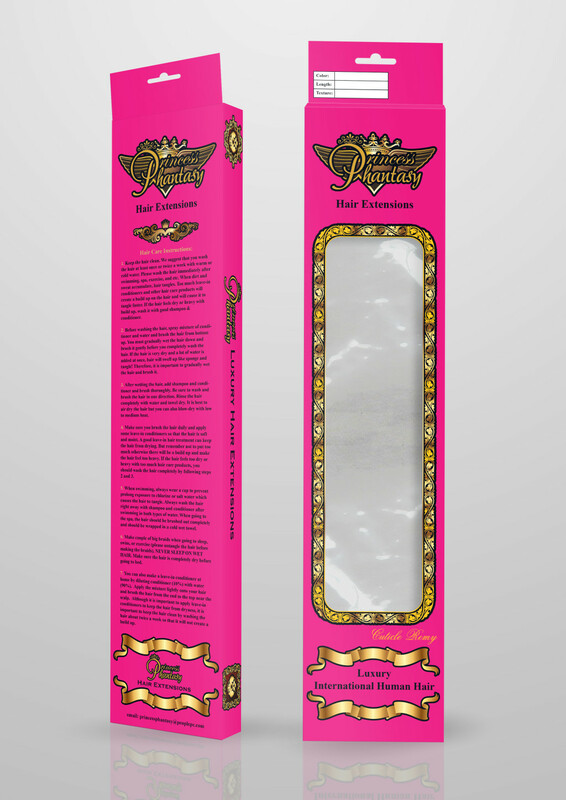 Back and front of hair extensions box with clear plastic window. 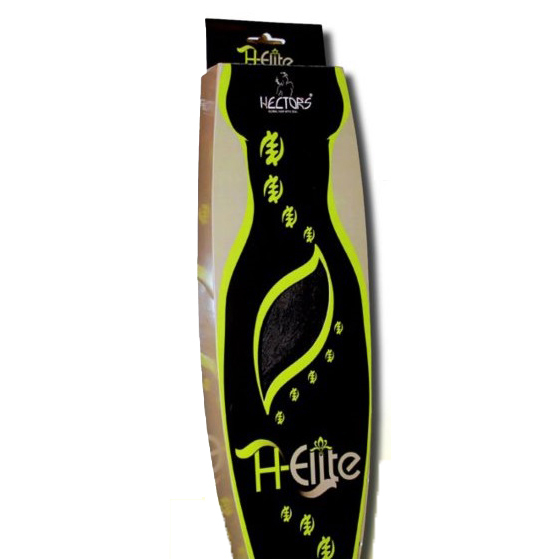 Retail customers can see the texture and color of the hair. The plastic window also protects the hair. A Purse Box designed by HairPackaging.com has handles which make it look like a ladies purse. HairPackaging.com also designed a matching wig box. The purse box and the wig box have plastic windows. 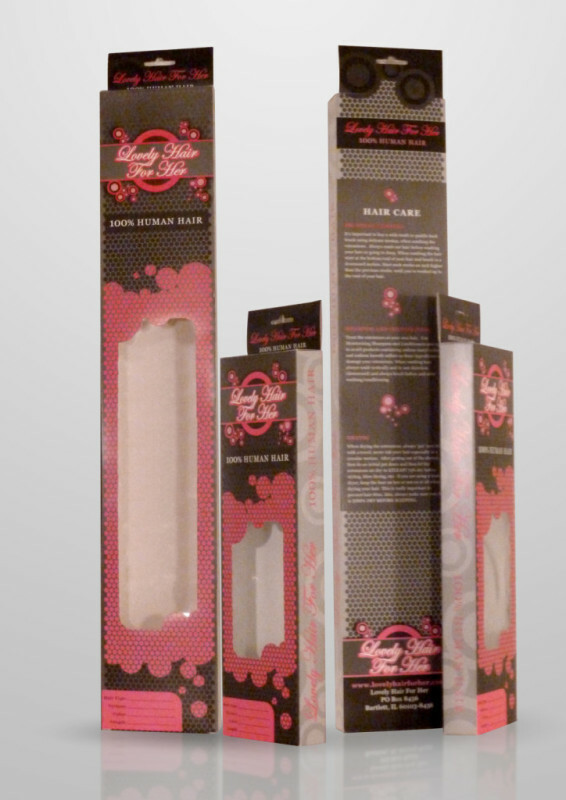 Back and front of hair extensions box with see through plastic window. The windows allows the texture and color of the hair to be seen. The plastic window also ensures the hair is protected. 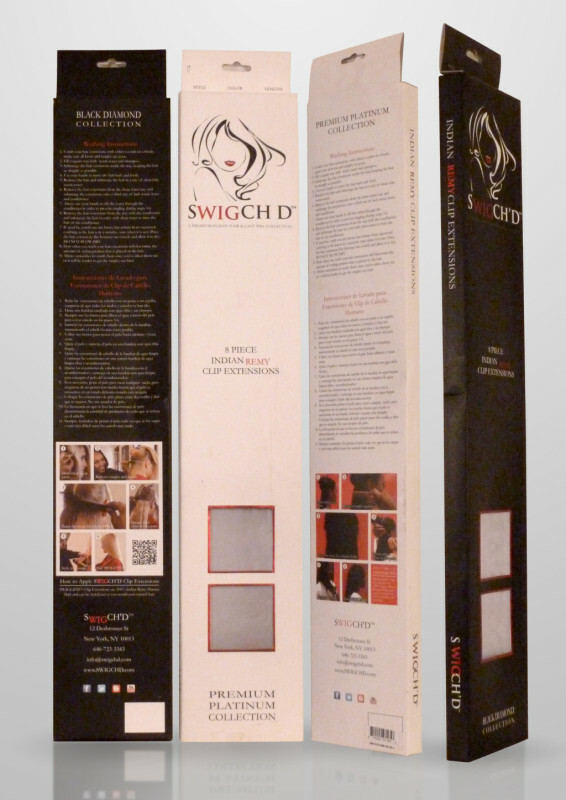 The front and back of two lengths of a hair extension box. 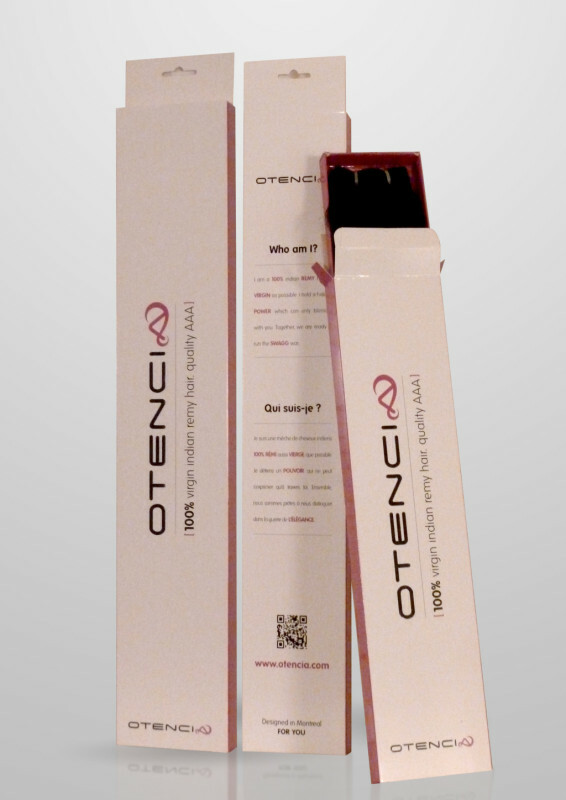 The different lengths of each box allow a range of hair extensions lengths. 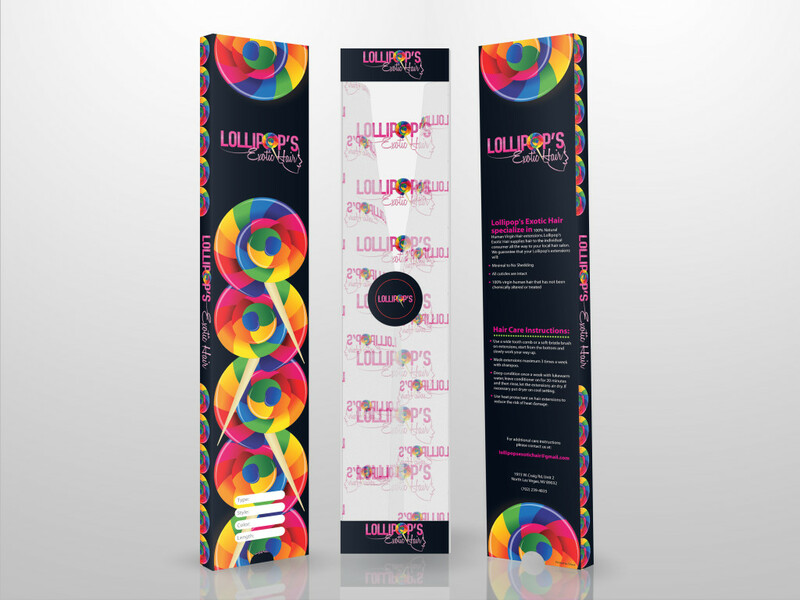 The boxes also have small plastic windows so the color and texture of the hair can be seen. 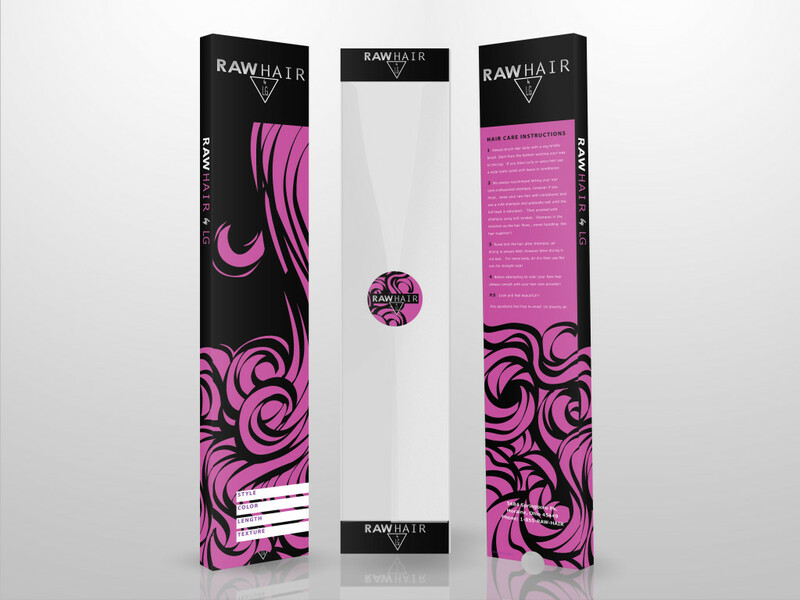 Shiny Silver Foil makes this box stand out from most other packaging in the hair market. 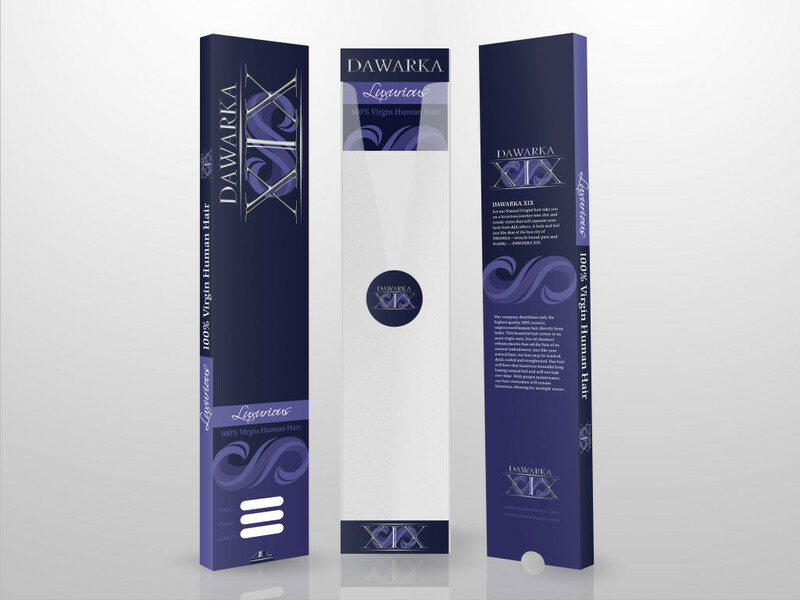 We designed matching boxes in two sizes with each box size designed for a range of hair lengths. On the left of this picture you can see the front view with the side of the box. On the right is the back of the box with care instructions. Two product lines, differentiated by color schemes on boxes: black/red and white/red. The box has a shiny red metallic foil and windows. Note: We only created the design for these boxes. 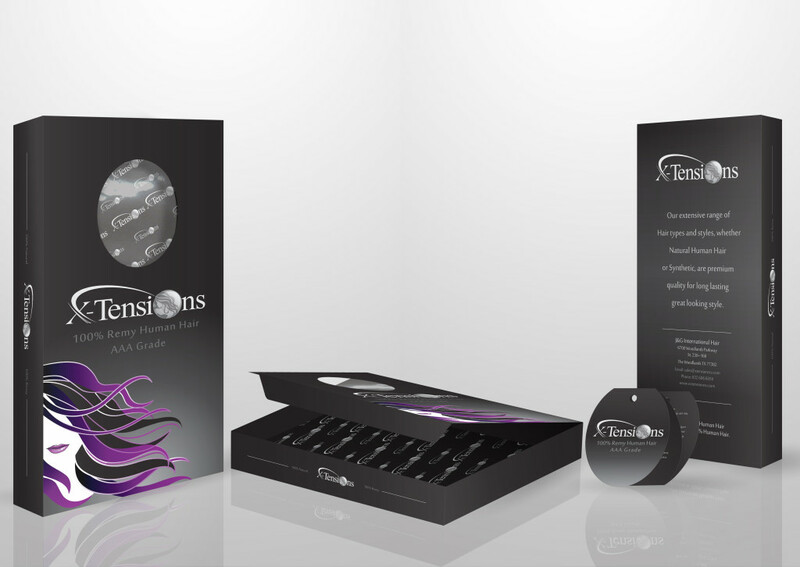 The design was sent to the clients hair manufacturer where the boxes were printed and had hair placed in them. There is a noticeable shift in the red foil stamping on these boxes. Two different sizes of box. Boxes have a hang tab for hanging on display. Logo has embossed (raised) letters. Uses a purple tray to slide hair extensions inside. 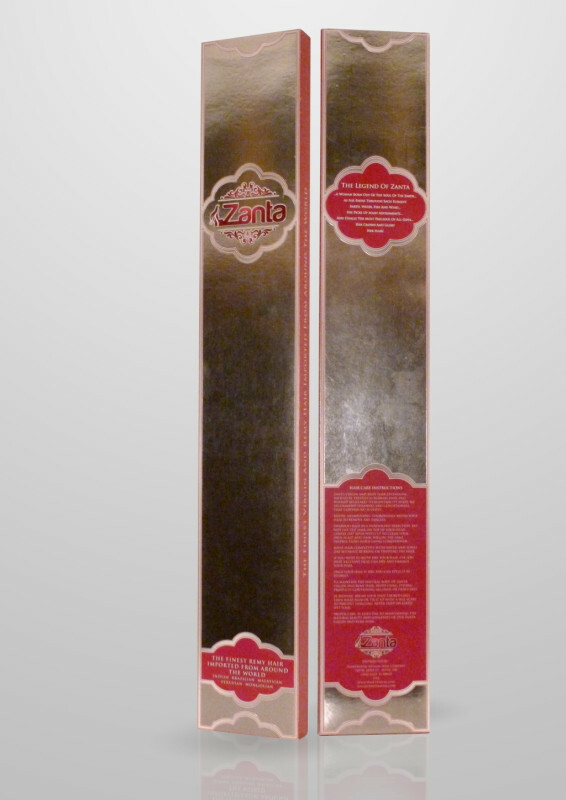 Left: Front of large box. Middle: Back of large box. Right: Small box with tray. 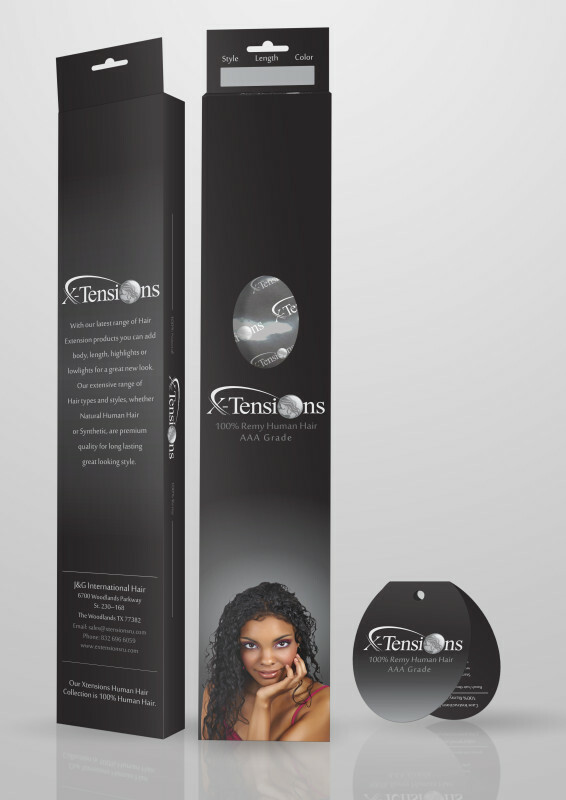 The front and back of two sizes of a printed hair extension box. 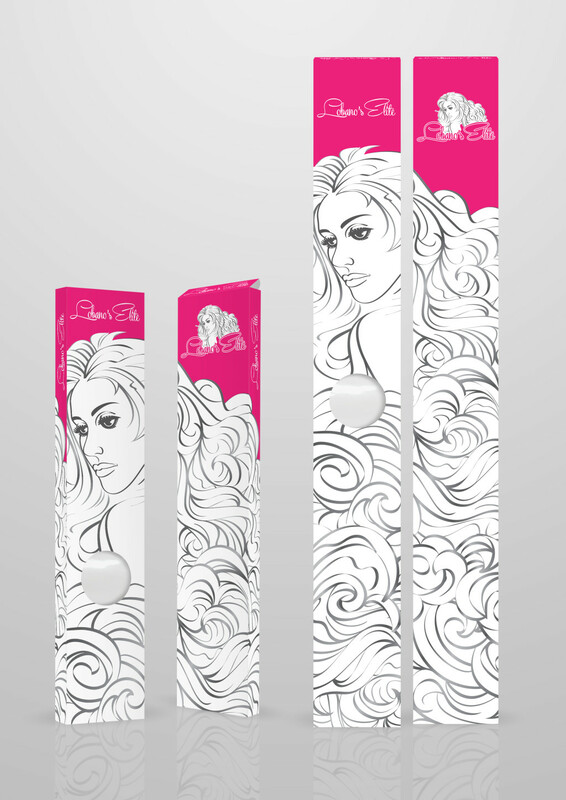 The different sizes each allow a range of hair extensions lengths to fit inside. 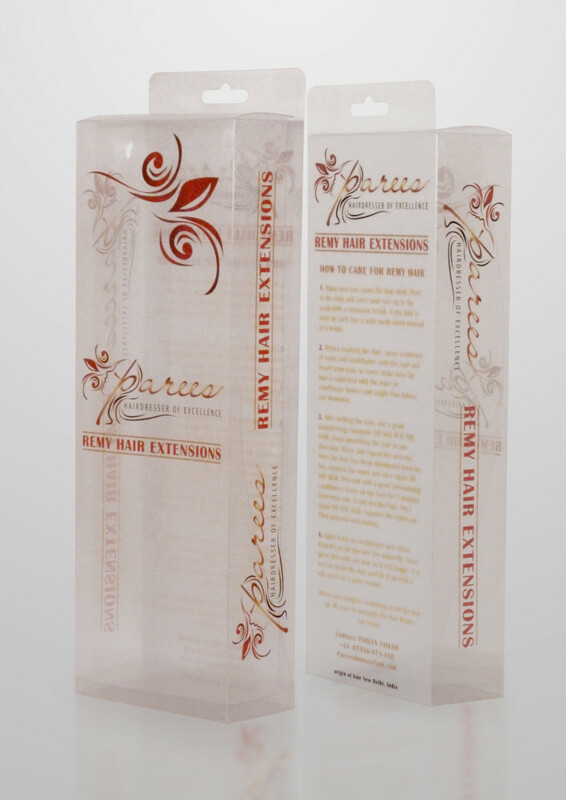 Back and front of hair extensions box with see through window so the texture and color of the hair can be seen. The window is covered with plastic so that the hair is protected. Front and back of a red hair extensions pillow box with small hang tab and window. 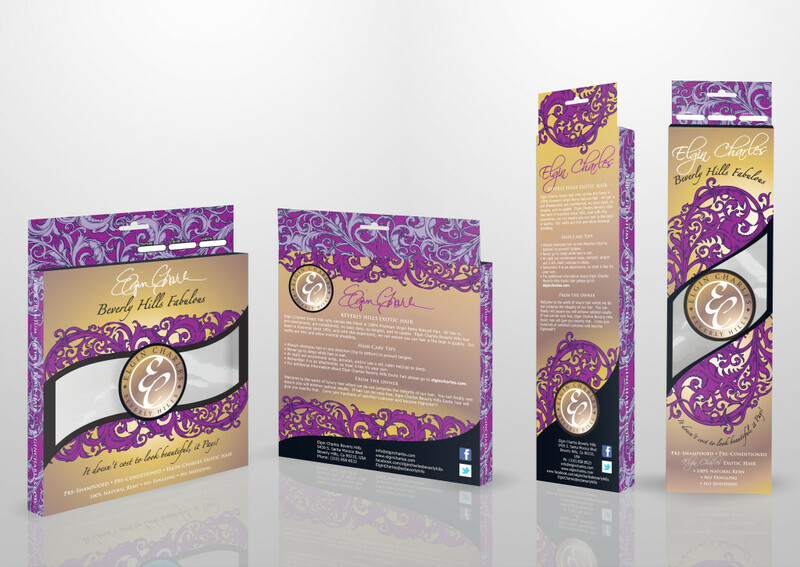 Hair extensions box packaging – front view showing plastic covered die cut window and the shiny gold metallic foil used on the crown in the logo. 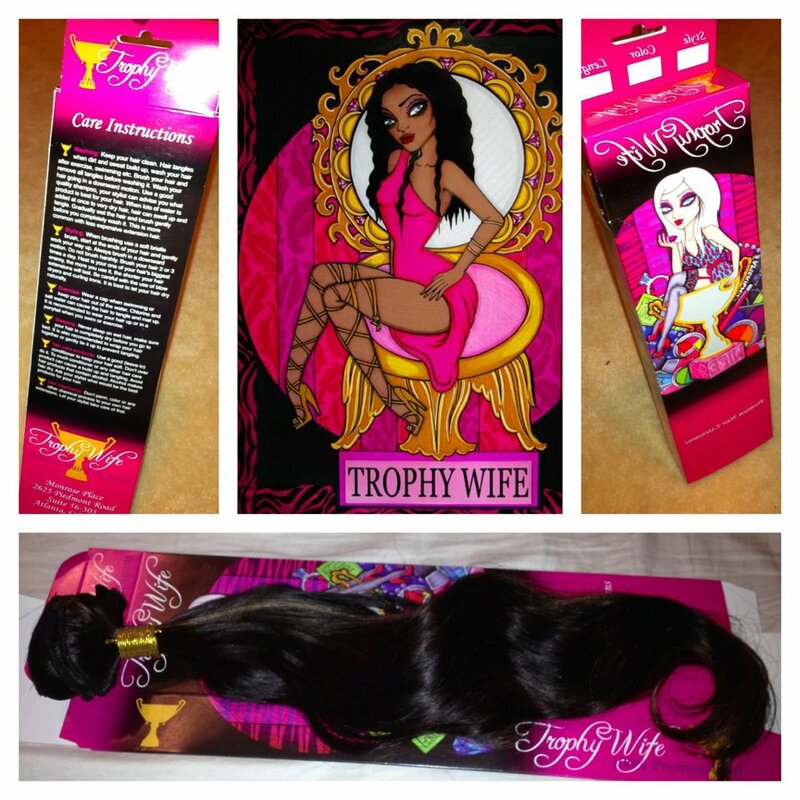 SassySecret Lace Wigs box reflects the quality of hair sold by this company. 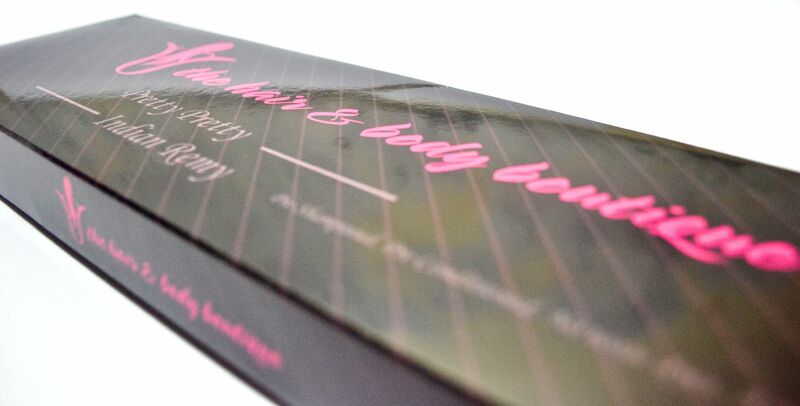 The pink box is lined with shiny silver foil. Opening the box reveals custom printed tissue. 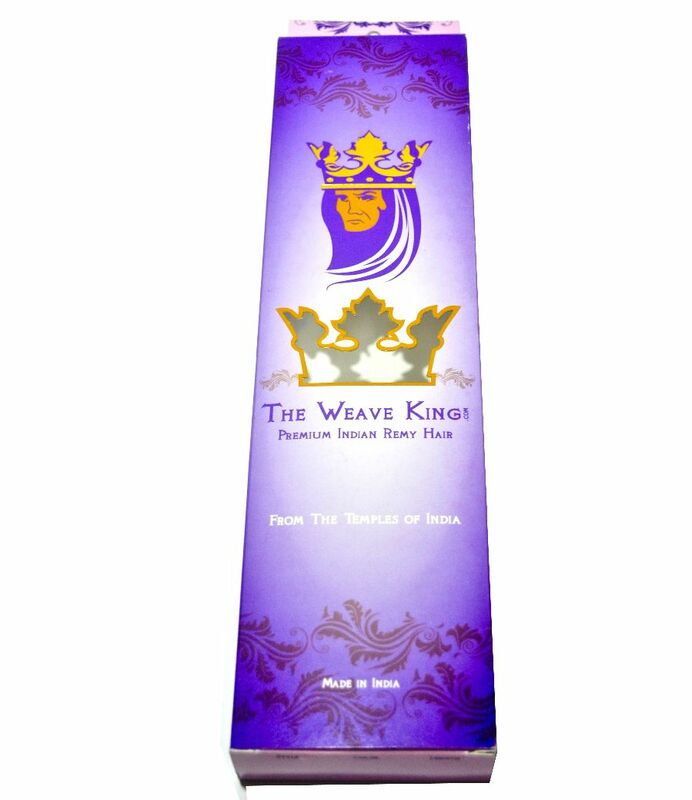 A sticker seal the tissue closed around the luxurious lace wig. 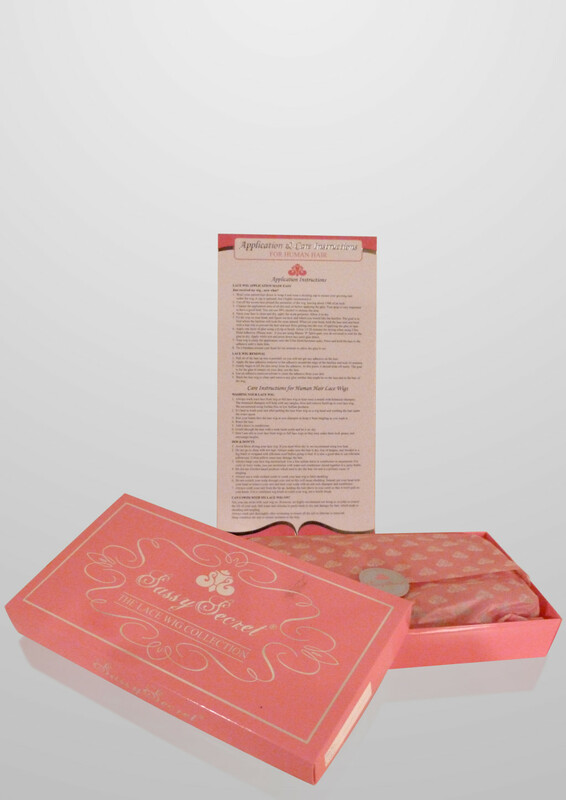 A printed insert with detailed care instructions is also provided in the box. 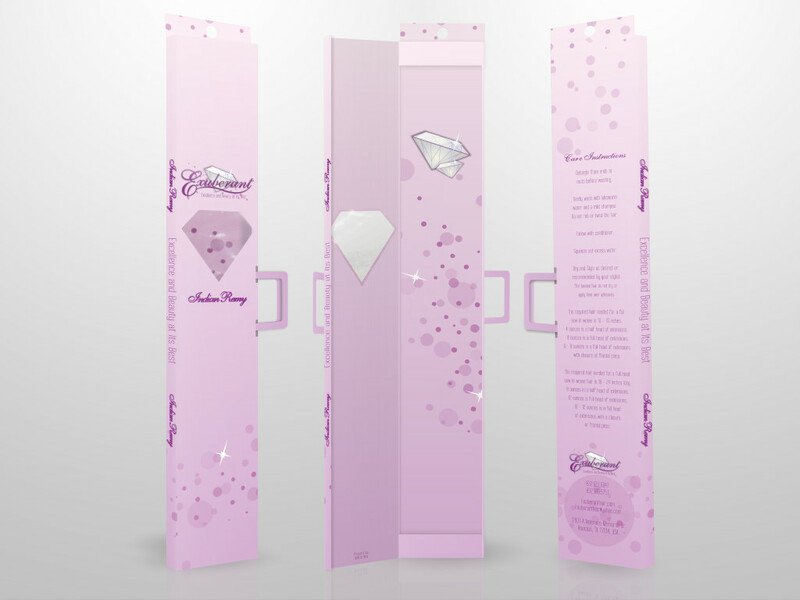 Custom remy human hair extensions box packaging with folded hang tag. 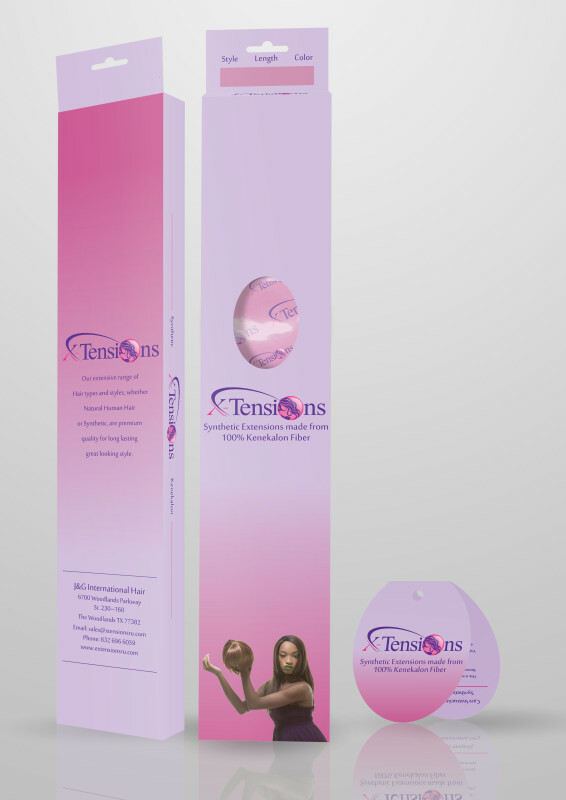 Custom human hair clip-in extensions box packaging with tri-fold hang tag. 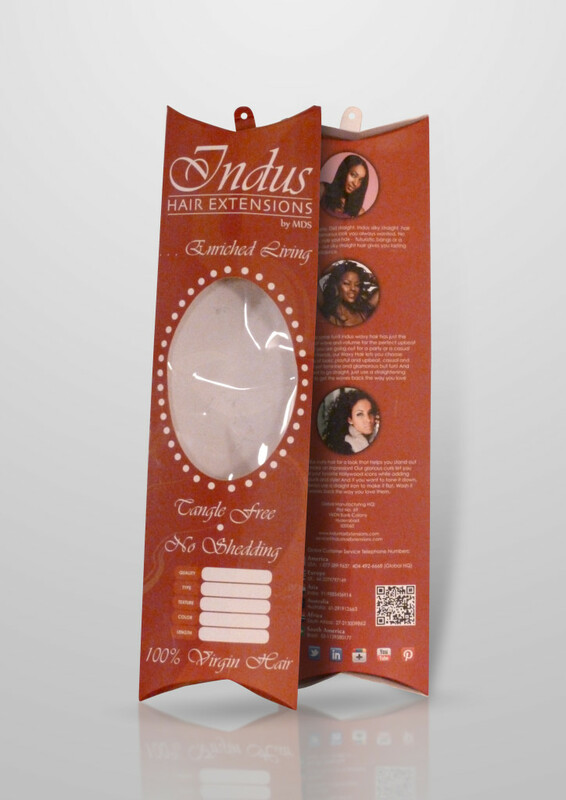 Custom synthetic hair extensions box packaging with folded hang tag. 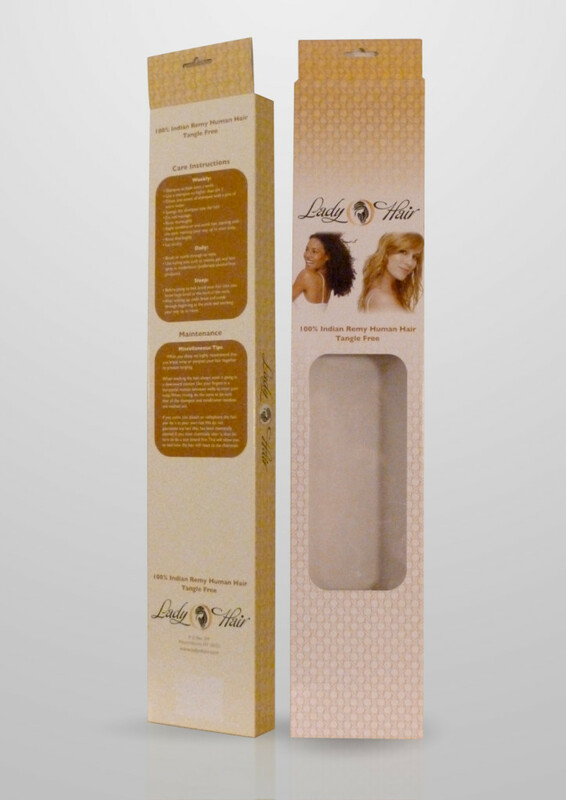 Custom remy human hair wig box packaging with tri-fold hair hang tag. 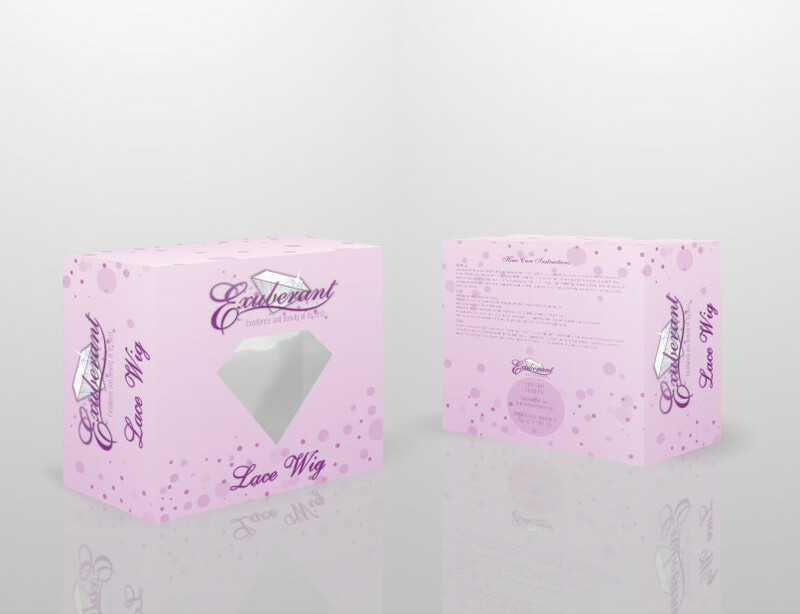 Custom synthetic wig box packaging with folded hang tag.